Exercise is an important part of caring for yourself if you have polycystic ovarian syndrome, or PCOS. Women with PCOS are at greater risk for heart disease and diabetes, conditions which may be prevented through exercise. 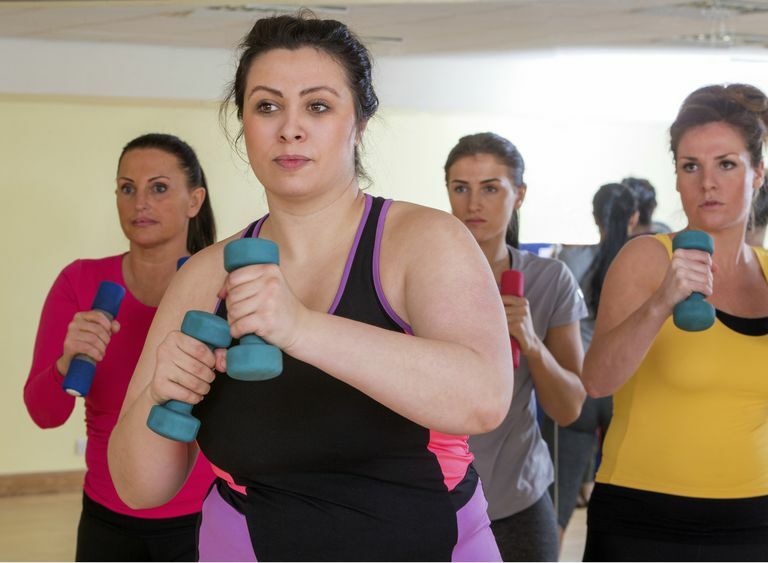 Exercise will also help you to lose weight or maintain a healthy weight — something that is often difficult for women with PCOS. In addition, exercise has been shown to reduce blood pressure and lower blood cholesterol levels. You don’t need to join a gym or purchase a ton of expensive exercise equipment either. All you need is some basic items that you can probably get from around the house. But before getting started, please consult with your doctor. There are three basic principles of exercise, that when used, are instrumental: cardiovascular health, weight training, and flexibility. Here's what you need to know. Your heart is a muscle that needs exercise as much as your biceps, quadriceps, and hamstrings do. Strengthening it will make it beat more efficiently and can help reduce the risk of cardiac disease. Cardio training is also necessary to burn calories. While weight training will certainly tone a muscle, cardiovascular exercise is the only form of exercise that will actually reduce body fat. If you have not participated in any form of exercise within the last six months, or live a sedentary lifestyle, it is important to start slowly. Pushing yourself too hard can be dangerous, and discouraging. The idea is to get your heart rate into its target zone. Here's how to find your target heart rate. Aim to keep your heart rate in that zone for 30 minutes. Make sure to start at a lower intensity/heart rate for 5 minutes to warm up and again for 5 minutes afterward to cool down. Start with 3 to 4 sessions a week, around 30 to 45 minutes each session. If you can’t make it to 30 minutes, do what you can and work up to it. Walking, bike riding, and swimming are excellent activities to begin with. Many people, women in particular, are intimidated by weight training, but you shouldn't be. Weight training can be as simple or as involved as you want it to be. Besides making you stronger, weight training is necessary to strengthen your bones and muscles and create a more toned look. When first starting, you don’t need a gym membership or fancy equipment to get a great workout. You can find resistance bands or a simple set of dumbbells at your local sports store for a low cost. Select at least one exercise for each major muscle group: chest, shoulders, biceps, triceps, back, abs, calves, quadriceps, and hamstrings. Use a weight that allows you to finish the set while maintaining proper form, but with difficulty for the last few reps. Generally speaking, you should aim for three sets of 10 to 12 reps.
Just as important as the exercise is the rest period afterward. Your muscles need time to recuperate and build more muscle fibers before you engage them in another workout, about 48 hours. Also, it’s important to continuously challenge your muscles so they don’t become accustomed to the workout. You need to change the exercise, increase the weight or change the pattern of reps and sets on a regular basis. Try this total body strength workout for beginners to get started. Stretching is an important but frequently overlooked part of a regular workout routine. It loosens the muscles, helps prevent injury and allows your body to move in a more fluid manner. Stretching should be done after every workout when the muscles are still warm. Try to target each of the muscles that you exercised during your workout. Lean into the stretch for 15 to 30 seconds until you feel a slight pull. Make sure to not push yourself too hard, and never bounce, or you could risk pulling a muscle. 30 minutes of cardio 3 to 4 days a week. Target one or two muscle groups for weight training each day and do 2 to 3 exercises for each muscle being worked. Finish each workout with a good stretch. Make sure to include a rest day each week. 30 to 45 minutes of cardio 3 to 4 days a week. Twice a week (can be on your cardio off days, depending on your time availability), do a full body workout, exercising all of the major muscle groups (1 to 2 exercises per group). Finish off each workout with a stretch, and include a rest day. 30 to 45 minutes of cardio 3 to 4 days a week. Break up your weight training each day as follows: a day each of upper body, abdominal, and lower body exercises. Repeat this pattern twice, then give yourself a rest day. Of course, make sure to stretch after each workout.